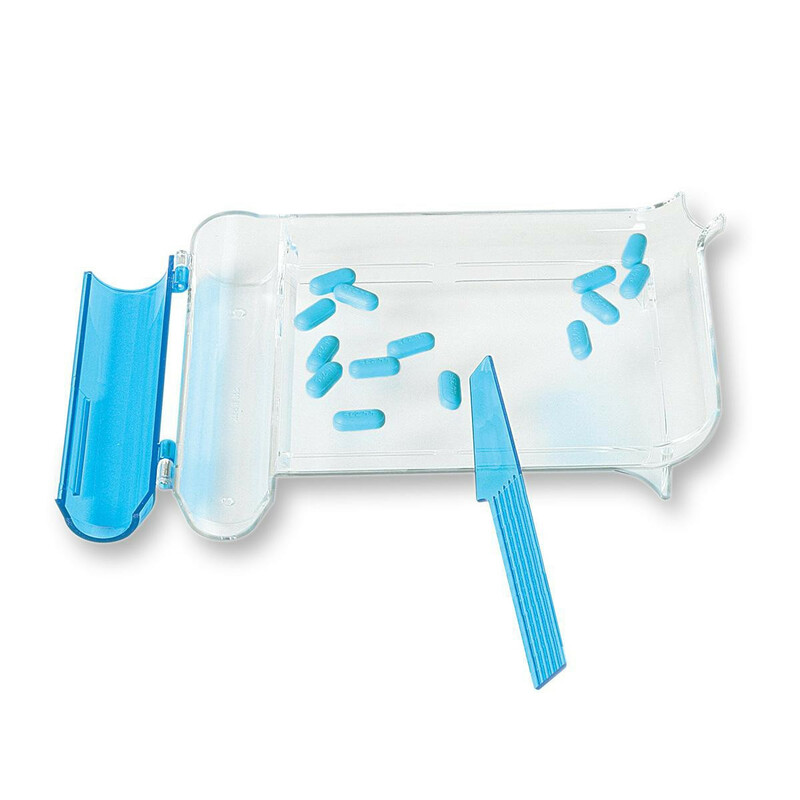 The Apothecary Products Right Hand Pill Tray allows pharmacists to count and organize medication for the purpose of bottling up the pills in order to provide them for patients. The counting pill tray is made with a clear, see-through plastic design to help keep an accurate vision of the pills being counted for. 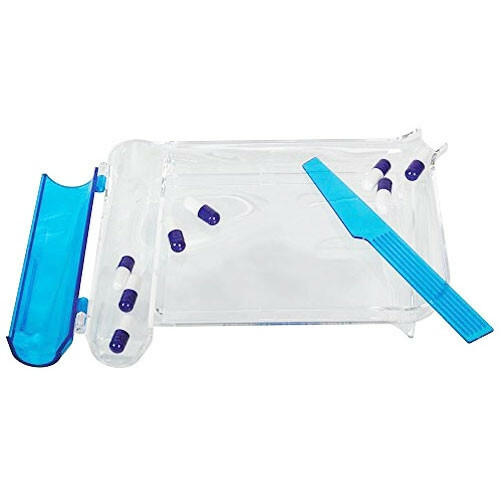 The Apothecary Products 23087 Right-Hand Pill Counting Tray includes a spatula to facilitate pill counting and offer a better method of dividing and grouping the pills as required without the need to touch the pills; even with gloves which are not a helpful option if you happen to have bigger fingers. The Apothecary Products Pill Counter Tray with Spatula also features the benefit of having a funnel located to the left side of the tray in order to help easily pour the pills into a bottle container. The funnel can be closed and also has a transparent blue lid to see if all the pills counted have made it inside the pill bottle.